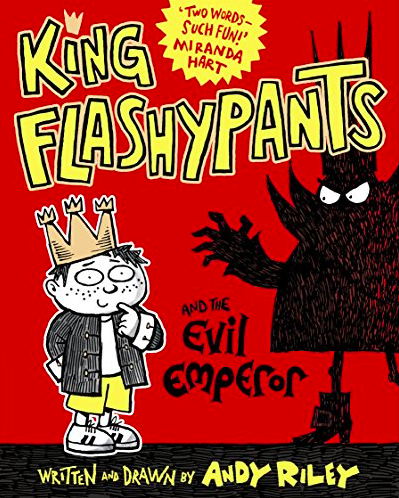 This is the first of the King Flashypants series – chapter books aimed at children aged about 5 to 9, packed full of jokes and illustrations. They’re about the adventures of Edwin, a nine-year-old king of the tiny country of Edwinland, and the horribly nasty Emperor Nurbison who live next door. It’s also available as an audiobook, read by the great Mat Baynton from Horrible Histories and The Wrong Mans.